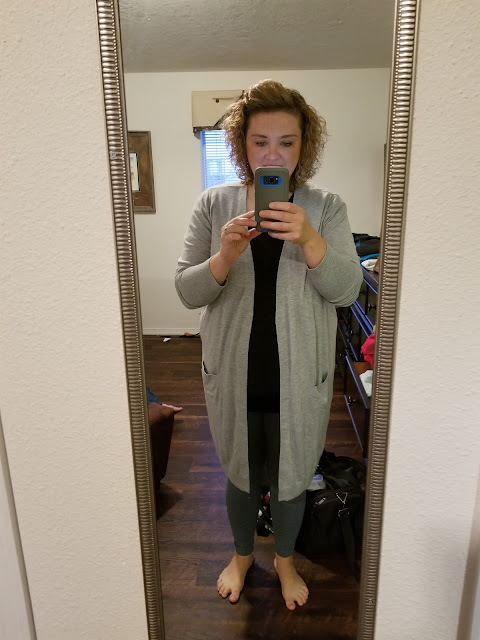 So to kick things off, I thought I'd share a few work wear outfits this week - nothing super fancy, but some basic pieces that are comfortable to wear to work and professional enough for my office setting. I also personally own and have purchased myself all of the items below, unless there is a "similar" next to it - then the piece I own is no longer available, and I'm linking to something similar enough that if I didn't already own that piece, I'd buy the one I'm linking to. Sound good? I need all of the skimming I can get right now, lol. 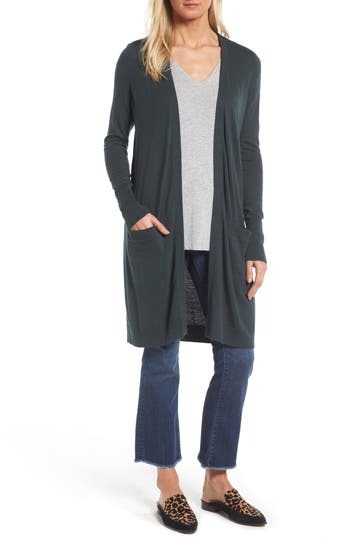 Sometimes you just need an item that makes you feel good - and this cardigan does it. So much so, that I just ordered a second one in the "Green Gable" color yesterday. 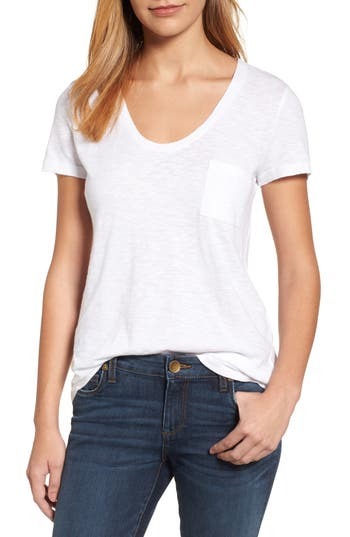 I think it will work with grays & blacks for work, and then on the weekend I think it will look really pulled together while remaining comfortable while I'm out and about running errands with my favorite jeans, my favorite white tee & my super affordable leopard flats! Another quick & comfortable outfit I wore this week was just a scarf, my favorite Kendra Scott Elle earrings (I have them in four colors! 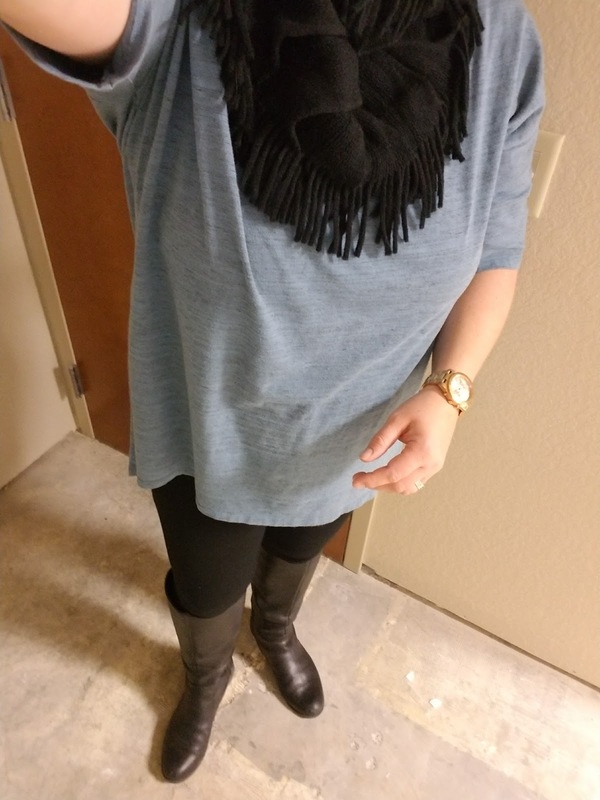 ), a cute LuLaRoe top (check out my friend Kati's page - she has GREAT inventory), a pair of ponte pants and my favorite boots. 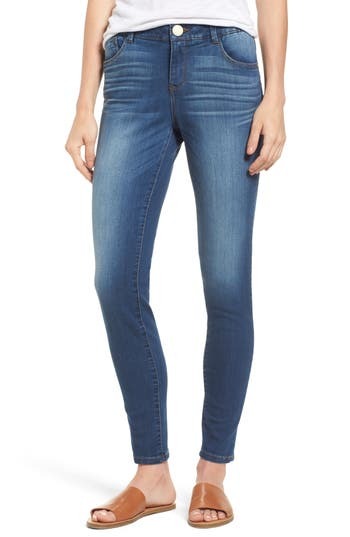 Sometimes I buy leggings, but for work I prefer ponte pants. They are thicker, and have texture so I feel like they're a little dressier for work. The bonus is because they're thicker, they provide more coverage and you don't have to worry about any "see thru issues". They stay up well, and I wear them like leggings - making sure I wear a top that hits high on the thigh and usually with a pair of boots. Speaking of boots - for my friends with wide calves - I have tried A LOT of wide calf boots on, and Naturalizer boots not only zip every time but the leather is beautiful, and you can stand in them all day long. I've owned 3 pairs over probably four years - I wear them almost daily in the winter, I love them that much. They're totally a boot I buy every year - the price per wear has been well worth it! What are some items that you're wearing lately that make you feel great? Some affiliate links used - thanks for supporting my blog! Oh I like the idea for this series! Also I might need to check out those boots. I had a HORRIBLE time this year trying to find a new pair. Wide calf varies so much! I like what I ended up with but didn't love them and had to get the dark brown because I couldn't find any in the lighter camel color that I was going for. Looking forward to more of these! As for me I have been loving clothes from the online retailer Filly Flair this year! 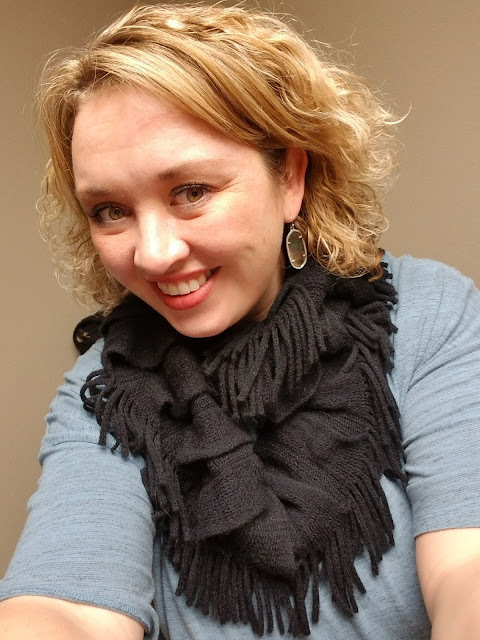 They have some really fun stuff, but I have found a few really good staples solid color dresses that are great for mixing and matching and layering. And everything is pretty TTS. I also get the FitFabFun box subscription and the winter box had a poncho from BB Dakota that I basically want to be buried in someday. Huge fan of ponte pants! And Kendra Scott all the way. They have so many sales this time of year.